The Jammu and Kashmir director general police, Shesh Paul Vaid has spoken more sense than the Union minister in the Prime Minister’s Office, Jitendra Singh, who is the Member of Parliament from Udhampur (Jammu). The problem is both external and internal, with the former getting graver by the day. And since both are linked, militancy in Kashmir would spurt not diminish. The army, which is neck deep in fighting militancy, would get sucked into the quagmire even further. This would blunt its war-waging capabilities at a time when Pakistan continues undeterred with its proxy war, and China’s shadow, post-Doklam, looms large over the Himalayas. Let’s start with the extraordinary news from China which should have rung alarm bells in South Block. Speaking on the opening day of the 19th Party Congress in Beijing, the counsellor of the department of Asian Affairs, Yao Wen said, “China considers the Kashmir conflict as a top priority along with the Korean peninsula, the South China Sea dispute and instability in Afghanistan.” China has elevated the Kashmir conflict to the level of South China Sea dispute where it has asserted that it will not relent or compromise. China, thus has tossed the quid pro quo: If India (with the US) meddles in South China Sea — by joint-policy statements and naval exercises — China would not hesitate to do likewise with Pakistan on Kashmir. It is necessary to place the Chinese threat in political and military context. Having already declared in December 2010 that it does not have a border with India in Ladakh (Jammu and Kashmir) — implying that the Line of Actual Control that it holds from the Karokoram Pass to Daulet Beg Oldie in Ladakh is on Pakistani soil —, China has said that it could openly support Pakistan’s Kashmir dispute case at international forums. This is the reason why the Chinese government’s mouthpiece, The Global Times newspaper has cautioned India that the US cannot get India the permanent membership of the United Nations Security Council without Chinese consent. To take the political argument further, China has cautioned India not to increase instability in Afghanistan by stepping-on Pakistan’s toes. Since development and economic upliftment matters, China’s clout in Kabul would soon be greater than what India has or can hope to have. With Afghanistan recently admitted as a permanent member of the China-led Asian Infrastructure Investment Bank (AIIB), Kabul is all set to enter the orbit of the One Belt One Road (OBOR, referred to as the Belt and Road Initiative in western nations). China and Afghanistan had signed the OBOR memorandum of understanding in May 2016. Once Afghanistan joins the OBOR, it would have little choice but to praise the China Pakistan Economic Corridor vision, which India is opposed to on grounds of sovereignty. Let’s now consider the military implications. The Chinese and Pakistani militaries have already achieved good interoperability (the ability to fight together for common missions), something that the US and Indian militaries hope to start only once there is mutual agreement on the terms and conditions. Till that happens — which appears improbable — it would be sound-bytes, lofty promises and plain rhetoric. Interoperability implies two things, namely, commonality of equipment and advanced joint-training. The bulk of strategic and conventional war equipment with the Pakistan military is of Chinese origin and requires little elaboration. Since January 2011, the two air forces and the armies have done regular joint-training in mountainous and high-altitude areas especially in north Kashmir, where it matters against India. The two navies too are set to commence joint-training starting with the protection of Karachi and Gwadar ports and the sea-lanes leading to it. Commensurate with increased Chinese naval presence in the Indian Ocean region, these joint-exercises would gather pace. In terms of increased threats to India, it will mean three things. One, Pakistan will be able to fight a longer duration war than India since it would have regular and assured supply of ammunition and spares supplies from China by air and the CPEC. 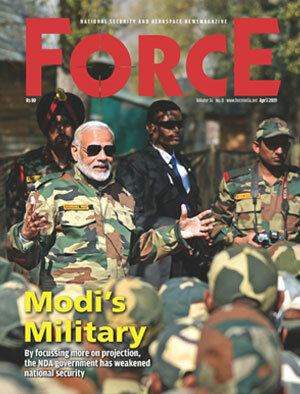 Two, there could be many war surprises for the Indian military, especially the army and the air force — primarily because of inter-operability between Pakistan and Chinese militaries. And three, the threat to Indian Army’s internal lines of communications in Jammu and Kashmir could be substantially higher than envisaged. This brings us to the internal problem in Kashmir. There can be no successful political narrative for peace in Kashmir unless India agrees to talk with Pakistan. 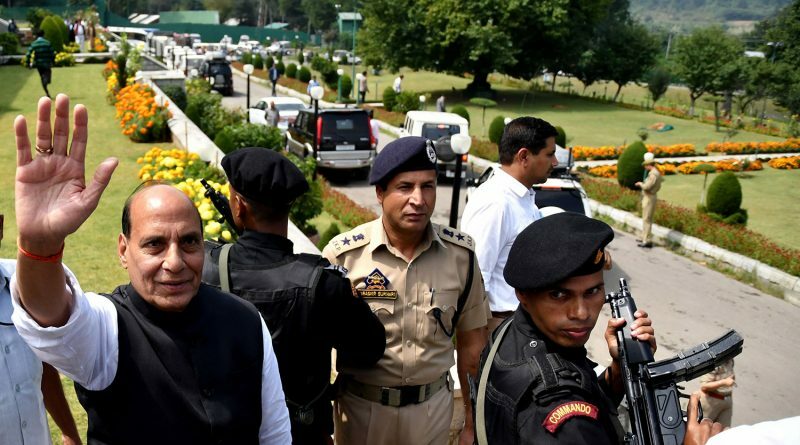 Moreover, talking for ‘talking’s sake’ will not amount to much since the Pakistan Army fixated on the Kashmir resolution believes that its moment has arrived. China has come out in its full support on the Kashmir crisis; the Indian military, especially the army’s conventional war edge stands blunted; and the US, with too much at stake in Afghanistan and with China, is unlikely to support India beyond lip-service. This, of course, does not mean war between India and Pakistan. Far from it. With the Indian Army mindlessly destroying its own war-waging capabilities by never-ending anti-infiltration and counter-terror operations, not against the Pakistan Army, but nameless, faceless and dispensable terrorists, who can be readily supplied by Pakistan’s ISI, why would Pakistan want a war? It would continue with its machinations until India agrees to talk on the Kashmir resolution. Considering that the Modi government has completely upended the template of bilateral talks, and has, moreover, linked the stoppage of cross-border terror with talks on its terms, nothing would happen anytime soon. Amidst all this, perhaps, the biggest misfortune of Kashmir is the astonishing identity crisis of the Mehbooba Mufti government. Is the chief minister for the interests of the people or her own, is the question that most people in the state silently wonder? With her credibility badly damaged, she has provided boost to the Separatists’ leadership and to militancy. This is precisely why, as mentioned by the state DGP, the need is for a sensible narrative in Kashmir. Kashmir crisis is a reflection of mind set of Muslims in sub-continent due to their false perception that from last 1000 years they were rulers in sub-continent and a separate community from Hindus , can’t live under hegemony of Hindus who are majority by numbers. This perception is fueled by Pakistan . Peace in Kashmir valley is not a easy task after forced expulsion of Hindus from valley. India lost their support base from valley. Peace will only possible when China realize .